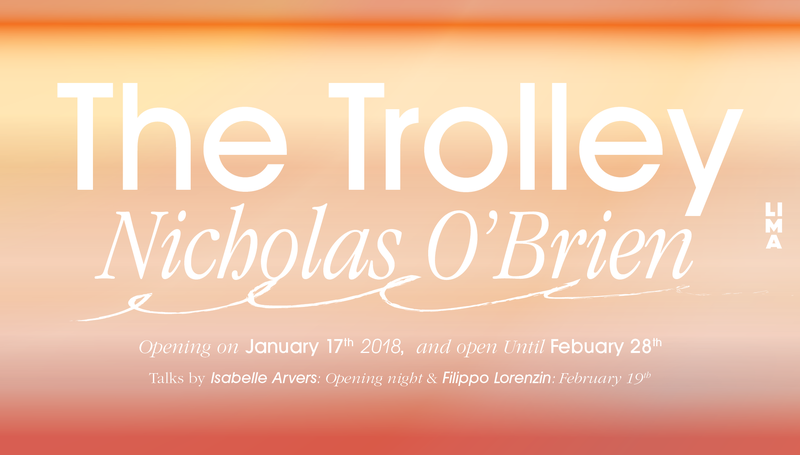 The third solo exhibition in the context of Cultural Matter is the work The Trolley (2017) by artist Nicholas O’Brien. The Trolley is, in the artist's own words, an essay game artwork. It revolves around the progressive disappearance of a mode of public transport in the urban landscape. The game is made into an installation and the story is a metaphor for the changes in public space and infrastructure in the US. A both medium specific and politically relevant work - that pushes the boundaries of traditional and new media. How does Nicholas O'Brien use storytelling, cinematic qualities and spaciality within the medium game? How does narration work in a game? How does the viewer relate to the installation as a whole and the moving image on the screen? The work can be characterised by a cross-medial approach. The Trolley will be exhibited at LIMA from January 17 - February 28, 2018. Next to this, the two experts Isabelle Arvers and Filippo Lorenzin will shed their light on the work and its cultural and material implications.